Ferocious action, existential gravity and Hugh Jackman’s dedication propel “The Wolverine” into acceptable comic book entertainment; however, the absence of a central villain and use of an incongruous climax complicate this superhero’s efforts to attain true immortality. Following the events of “X-Men: The Last Stand,” Logan/Wolverine (Hugh Jackman) travels to Japan to pay his respects to a dying World War II acquaintance, only to find himself in a life-or-death struggle that will affect him permanently. Having become physically and emotionally vulnerable in ways he hasn’t experienced before, he must confront both hordes of deadly samurai and the pain that his healing factor brings him, transforming into a more powerful being than he could have ever imagined. I’ve got to give props to director James Mangold (“Walk the Line,” “3:10 to Yuma,” “Knight and Day”) for the way he balances the action and the drama with ease. Thanks to his deft command of the film’s pacing, “The Wolverine” never moves too fast or too slow; it knows exactly when to be an exciting adventure AND an engaging character study. 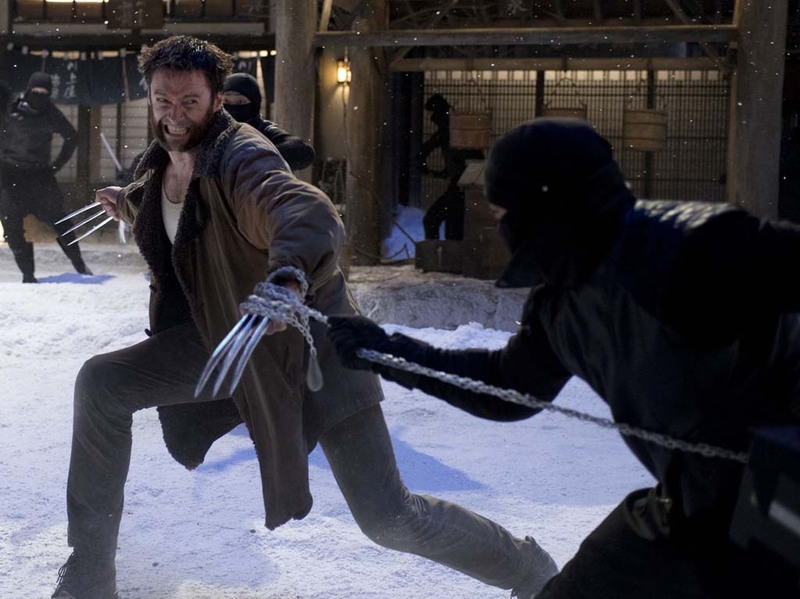 In terms of crowd-pleasing action sequences, “The Wolverine,” for the most part, doesn’t disappoint. When you have one of Marvel’s fan favorite superheroes confronting both Yakuza thugs and samurai on a frequent basis, you can bet there will be no shortage of deadly metal leaving its mark. But no amount of shooting and sword fighting can rival the bullet train scene, where Logan has to battle not only the men attacking him but also the high speeds at which the train is traveling. That set piece alone is one for the franchise’s history books. Yet somehow, the action doesn’t substitute for the depth that comes with being an immortal mutant. Mangold pays close attention to Logan’s inner conflict and brings them into sharp focus, painting a gripping illustration of a seemingly brutish character. I liked how the film explored the more sensitive side of Marvel’s animalistic antihero, something “X-Men Origins” failed to do years ago. For fans that have longed to see Logan be more than just someone who has mutant abilities and can fight, their wishes will be granted here. While the first two-thirds of “The Wolverine” proceeds without any incident, the final third is where all of its hard work goes to lie forgotten. As visually impressive as Logan’s confrontation with the Silver Samurai is, it felt like Mangold was taking the easy way out and wanted to wrap up the film as quickly as possible. Unfortunately, this over-the-top climax did not mesh well with the otherwise realistic, gritty atmosphere. I also noticed there was no principal villain to pose a worthy challenge to Logan. It seemed as though “The Wolverine” couldn’t decide if either Shingen (Hiroyuki Sanada) or Yashida (Hal Yamanouchi) should be the main antagonist, leaving their potentials unrealized. As for Viper, played by Svetlana Khodchenkova, she certainly looked and sounded dangerous, but even her purpose felt more like a henchwoman than anything else. As usual, Hugh Jackman is in top physical form, but what really makes his portrayal of Logan stand out is his willingness to illuminate the anguish he feels from not being able to die and knowing everyone around him can and will. One thing’s for certain — adamantium claws and berserker rages aren’t the only aspects of his performance you should be watching for. Tao Okamoto, who plays Mariko, delivers a winning performance that contains a surprising amount of emotional tenderness you wouldn’t normally expect from a fashion model. “Fiery” is the perfect word to describe Rila Fukushima’s swordsmanship and feisty personality, both of which serve her well while leaping across the screen as the red-haired bodyguard Yukio. As for Will Yun Lee, he is quick on his feet and fast with a bow and arrow in his portrayal of Harada, the archer who serves the Yashida clan. If you want to see a comic book action thriller that has more brains than you realize, “The Wolverine” is for you. But if you’re expecting this superhero’s latest outing to achieve immortality, you’ll be sorely disappointed. MPAA rating: PG-13 for sequences of intense sci-fi action and violence, some sexuality and language.